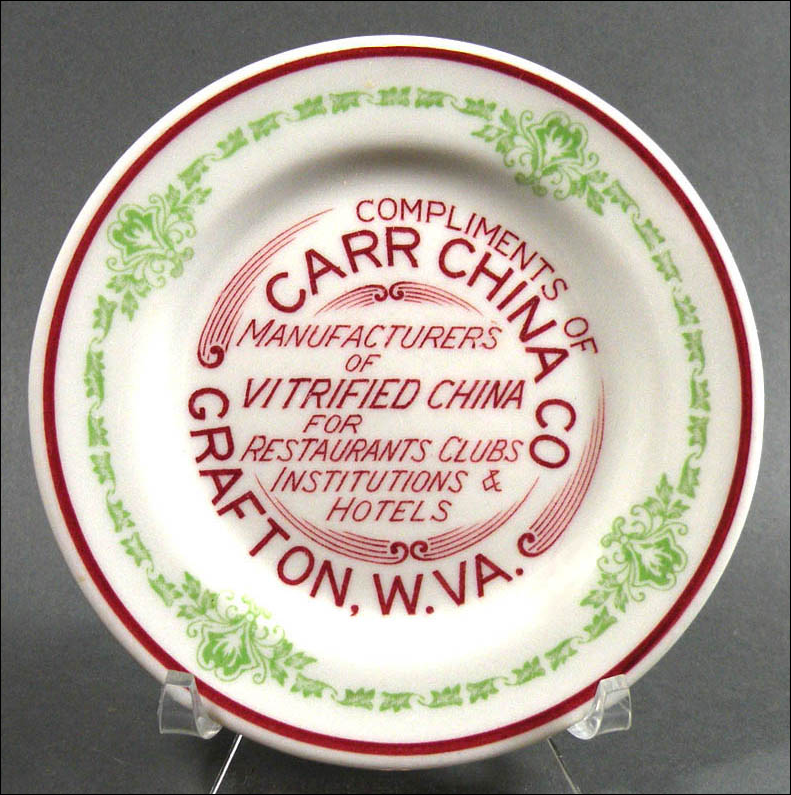 This small plate is just 4 1/4" - 4 3/8" in diameter and was probably used as an advertising giveaway for salesmen. Red border and text with with green Maythorne pattern. 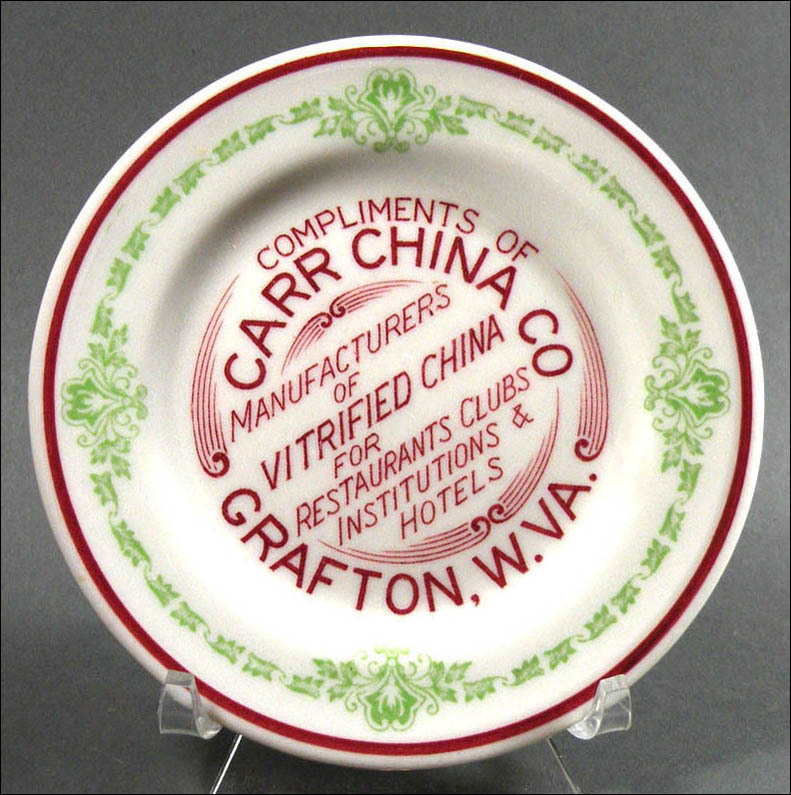 You'll see we're showing two views of this plate. At first we had the design rotated as in the photo at the bottom of the page, but we're pretty sure it should be seen as shown in the top image. Either way, it's quite a vibrant use of a small space!